RAID 0: Striping. This treats all the platters in all your drives in the RAID 0 configuration as one drive with multiple platters. On a regular, single drive system, a hard drive usually has multiple, physical disks inside of it. Data is written on the disks on tracks, similar to a record player, but unlike a record player that has ONE groove that spirals all the way from the outer edge to the center, computer disks have individual rings, called “tracks”. A hard drive has multiple disks (called “platters”), each with tracks. A file is written across the multiple platters on the same track until that track, on all the platters, is full, then another empty space is found to continue the writing. With RAID 0, you can add more drives to extend the depth of those tracks. One file is now written across all platters on all drives on the same track until they’re filled. There’s no limit to how many drives you can have in a RAID 0 configuration (except limits imposed on your RAID hardware and/or software). Decreased reliability. If any one drive fails, the whole thing goes down. The more drives you have in a RAID 0 configuration, the sooner the whole thing will die or the LESS fault tolerant it is. RAID 0 is pretty dangerous and should not be used unless speed is more important than reliability. RAID 1: Mirroring. Given X amount of drives in ANY RAID configuration, you can have a duplicate copy of them, which requires twice as many drives. All drives have to be the same capacity. Neither set is the “original”. All data written to one set is duplicated on the other. Both sets are live. For example: The simplest RAID 0 configuration is a 2 drive system, both drives of equal size each. Your total storage capacity across the system is exactly the capacity of ONE of those drives. Everything written to one drive is duplicated on the other. A more complex RAID 0 configuration will more more than 2 drives, but ALWAYS an even number of drives. The 1st half of drives can be any other RAID configuration you like. The 2nd half of drives will be a duplicate of the same thing. 100% redundancy. Acts as a full, live backup. Any part of either side can fail and the array continues to function, seamlessly. Speed. Mirroring doesn’t require extra processing. It’s no slower than a single drive with no RAID. Capacity is reduced to 1/2 the total capacity of the whole, physical system. RAID 3: RAID 3 is made of exactly 3 drives. 2 drives for data, one for parity. Any 1 drive can fail and the system can continue to function until you replace the bad drive, in which case, the new drive is restored from the remaining 2 drives. Capacity. Maximum capacity usage for data across your array of disks. Speed. RAID 3 requires extra processing and thus, results in somewhat slower performance. 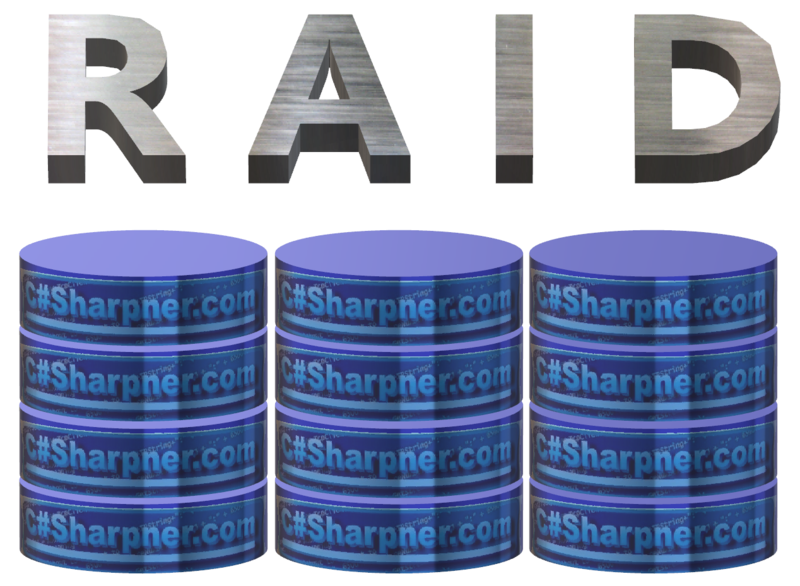 RAID 5: RAID 5 is nearly identical to RAID 3, with the added benefit that you can use any number of drives you like. You’re not limited to 3. Instead of dedicating drives to data or parity, every drive in a RAID 5 configuration contains BOTH data AND parity. 2/3 of every drive contains data and 2/3 of every drive contains parity. Not limited to 3 drives. Can have 2 or more, with no practical limitation. The same disadvantage of mirroring: Your total capacity of all your drives is cut in half. What is a RAID Tower, then? A RAID tower is a piece of hardware with multiple drive bays. You can plug in your own hard drives in the tower. The tower usually has the hardware and software built in to handle the RAID configurations for you. You plug the tower into a computer and it appears simply as a single, external disk drive with the full capacity of whatever RAID configuration you assigned the drive array. RAID is a concept. A RAID tower is a functioning product implementing that concept. SSDs, as you probably know, are the modern replacements for the decades old, spinning disks we call “hard drives”. SSDs have no moving parts and are 100% solid state electronics. They’re essentially memory chips that don’t lose their data when you turn them off, making them ideal for a modern replacement for hard drives. 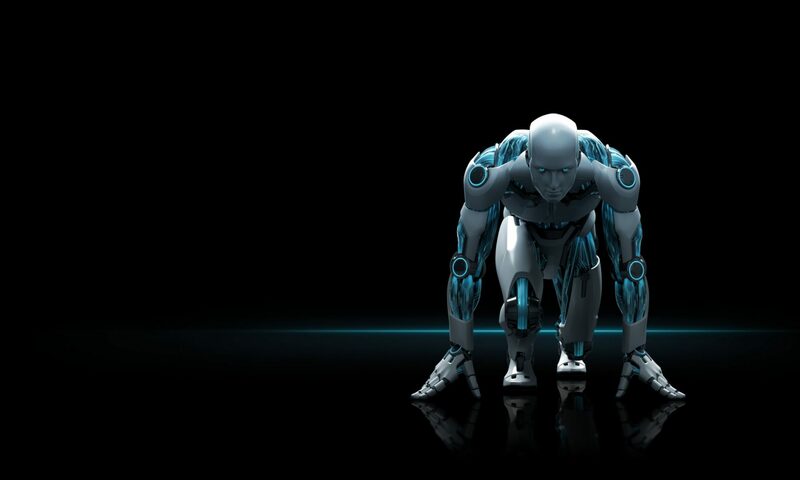 Because they have no moving parts, they’re significantly faster and more reliable. They’re also a lot more expensive (for now) per gigabyte of storage. Can RAID work with SSDs? Speed. Yes, even though SSDs are significantly faster than spinning platters with moving read/write robotic arms, they can be even faster in a RAID 0 configuration. Reliability: No, I’m not using RAID 0 to make them more reliable. They are, in fact, LESS reliable in a RAID 0 configuration, but since they’re SSDs, even with two of them in a RAID 0 configuration, they’re still more reliable than a single, spinning disk drive. I need speed more than reliability on my boot drive. Why? All my important data is stored on my RAID tower. Everything on my boot drive can be restored by simply re-installing all of my software. The only thing I’ll lose is my time. Actually, the primary reason is I’d purchased a 256GB SSD for another computer and didn’t need it in that one anymore and I wanted 512GB SSD for my desktop, so I just bought a second 256GB drive and put them both in, configured as a RAID 0 system. I’m perfectly fine with it for the reasons listed above. But, enough about me. Yes, SSDs can be used in any RAID configuration that spinning platter disk drives can be with the same pros and cons. It’s just that every configuration on an SSD is faster than the same configuration on spinny disks (as I like to call them). Also, every option is more expensive with SSD.